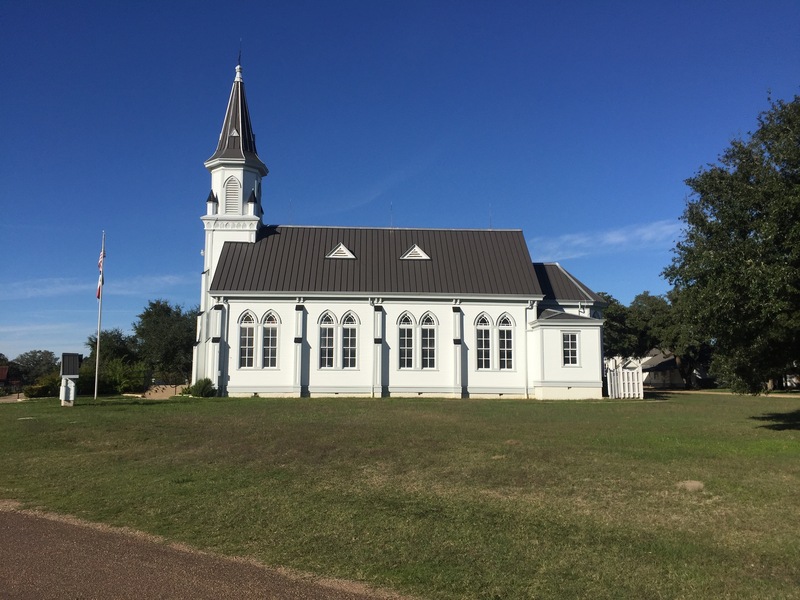 Dubina bears the distinction of being the first Czech settlement in the Lone Star State. In 1856, a group of Czech settlers arrived in the area on a cold November day. A fierce norther and freezing rain forced these pioneers to seek shelter under a grove of large oak trees. Soaked with rain and at the mercy of the weather, the men built a huge fire under the protective branches of the trees. No one slept that night, but all survived. The settlers remained in the area, built homes, and planted crops. They named their community Navidad after the nearby Navidad River. They later changed the name to Bohemian Navidad. The name was later changed again to Dubina in recognition of the oaks that had sheltered the first settlers. Dubina is the Czech word for oak grove. Building a house of worship was a priority for these early Czech settlers who had a deep faith in God. They built their first church in 1877 on land donated by Joseph Peter. The steeple of this church was topped with an iron cross made by Tom Lee, a freed slave who worked for Peter as a blacksmith. Sadly, this church was destroyed by a hurricane in 1909. The iron cross fashioned by Lee was salvaged from the debris. After their first church was destroyed, the community raised funds to build a new church. They hired the German architect Leo Dielmann to design the new structure. 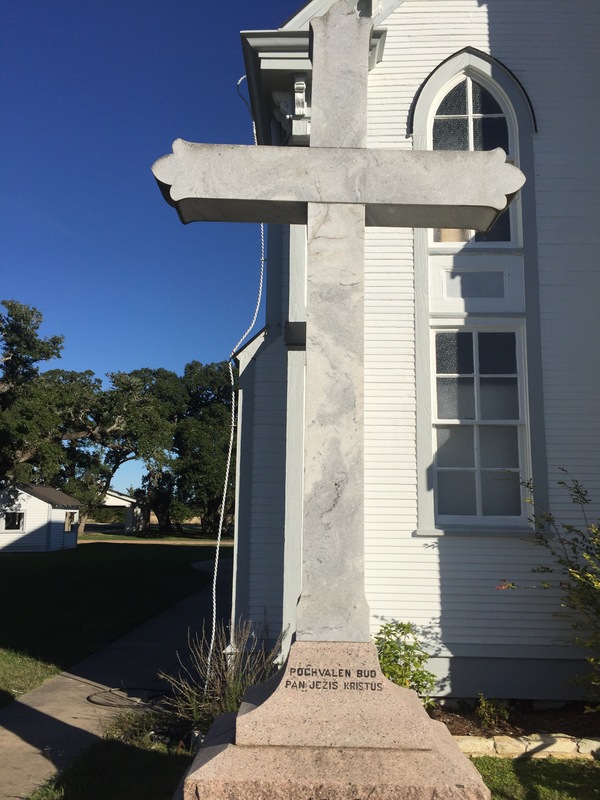 By 1911, Dubina had a new place of worship and Tom Lee’s cross once again stood atop the steeple. The interior was painted with beautiful frescos and motifs of vines, oak leaves, and angels. Unfortunately, in the 1950s, the ornate interior was whitewashed. In 1983, Judge Ed Janeckas and Butch Koenig, led efforts to restore the church. Judge Janeckas had served as an altar boy at the church and recalled seeing faint traces of the original artwork beneath the whitewash. These original designs were uncovered during the renovation and restored using some of the original stencils. 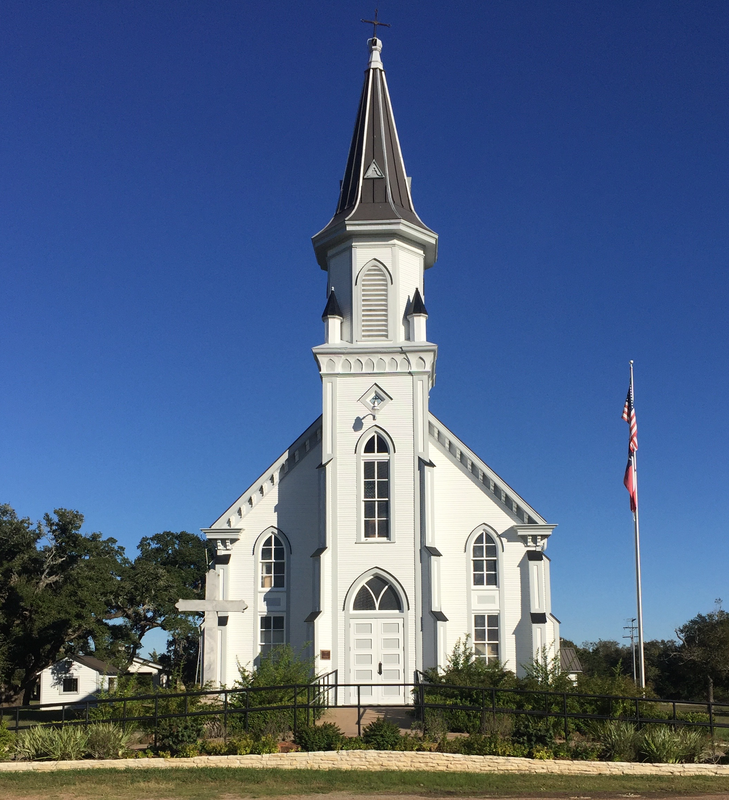 Today, Saints Cyril and Methodius Catholic Church of Dubina stands as an enduring reminder of the early settlers strong faith in God and their determination to begin new lives in the Lone Star State. You can see the church standing proud against the Texas sky as you approach Dubina. The front doors of the church are open during the week but entrance to the main sanctuary is blocked by an iron gate. 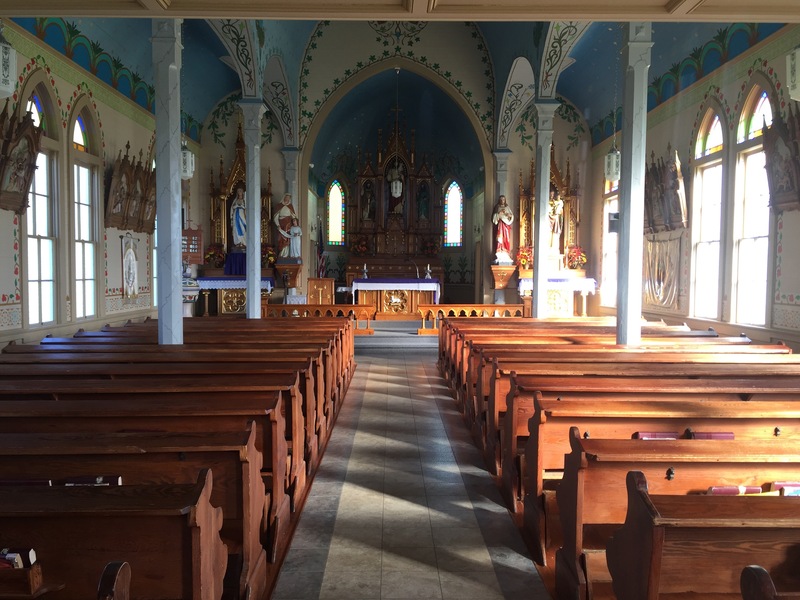 Guests can see the interior through the gate but can have access to the interior on Sunday and through the painted churches tour offered by the Schulenberg Chamber of Commerce. This entry was posted in Churches and Missions, Painted Churches of Texas and tagged Czech Settlers, Dubina, Painted Churches, Saints Cyril and Methodius. Bookmark the permalink.